…a digital-marketing agency, studied more than 50,000 websites for a month after the changes kicked in. 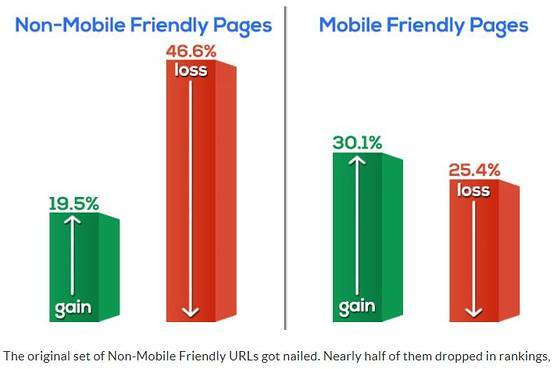 It found that non-mobile-friendly sites fell in Google search rankings, while mobile-friendly sites gained. If you’ve been delaying plans to get serious about your mobile strategy, it’s not too late. Popular Content is ready to help. Call us today or reach out by email. Some of you out there might be wondering, “What exactly is Google+?” Well, we’re just getting acquainted with Google’s new foray into social networking ourselves, but from what we can tell, it could prove to be a serious new competitor to Facebook. If you’ve found any success maintaining a business profile at Facebook, it’s only a matter of time before you’ll be making posts on your Google+ profile too (side note: Google has alluded to more business-friendly features being in the works…so hold off on creating a profile for your biz just yet). In the meantime, if you haven’t already received an invitation to join (as of today, Google+ is still officially ‘unreleased’ and in beta) then submit your personal email address at plus.google.com or hit up someone you know that already has an account and ask them to add you to one of their ‘circles’ – chances are, you’ll get an invite from Google in short order. Once you’ve got your invite and log in for the first time, you might be a bit confused as to how everything works. Thus far, the best guide we’ve found to understanding and using Google+ comes from the good people at Mashable.com – check out their Google+ How-to Guide and let us know what you think about the new service. 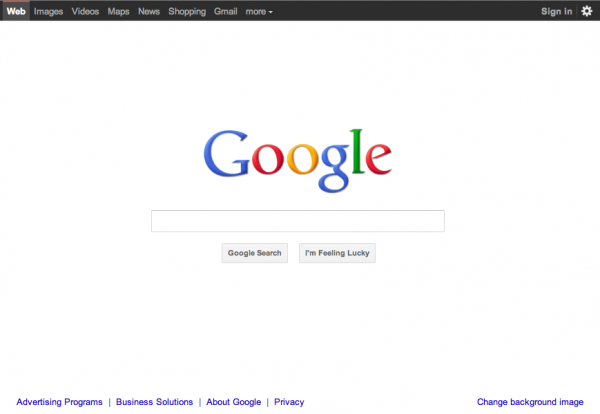 Google has, over the last number of days, been rolling out a new look for some of their more popular Web apps beginning with a modest change to their home page. 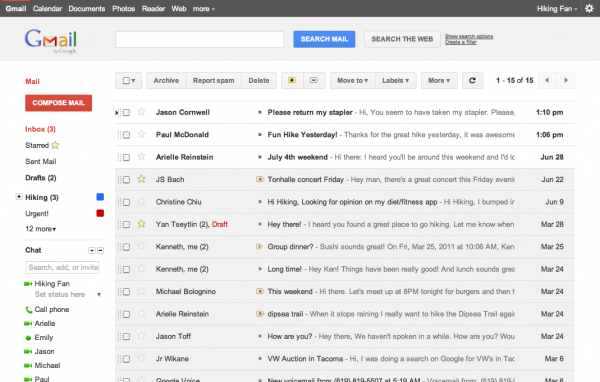 Gmail and Google Calendar appear to be getting the same treatment (at least as a preview theme for now) which leads me to wonder if this was all due to the fanfare the Google+ interface has been receiving. Back in 2005 Google hired Andy Hertzfeld, a ‘former Macintosh wizard’ and one of the original designers of the Mac interface. Word has it that despite Larry Paige’s opposition to ‘lavish’ (or imho ‘good’) interface design, Andy was given free reign as the design lead for Google+. Maybe after seeing the favorable reception (at least by initial reviews) that Google+ has seen, Larry discovered that beauty AND speed can harmonize in the cloud. It’s true, the Pope has beat us to the punch (sadly, we have not yet tweeted a single character). 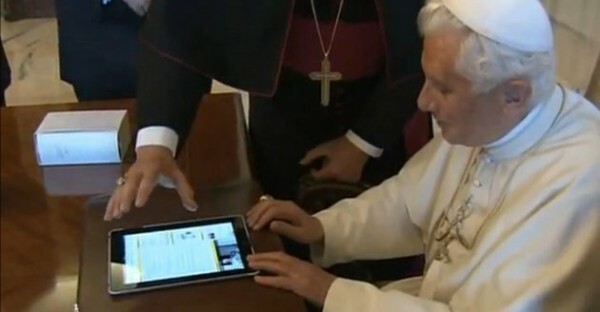 Pope Benedict XVI shot off his first tweet today, and from the forbidden fruit companies’ iPad no less. Full news stories available via news.google.com.